We welcomed visits from our elected representatives in all three levels of government: Mayor Jim Watson, City Councillor Jeff Leiper, MP Catherine McKenna, and MPP Joel Harden. Erin Topping and Kelly Archer were the awesome organizers of Winter Carnival 2019. Jim Kot had the rink in great shape. Dave Bolger set up and supervised outdoor activity. Jason Keats, creator of balloon animals, kept the children amused. Linda Landreville and Katie Bolger served food and drinks. Jennie Hornosty and Louise Atkins organized ticket sales. Champlain Park Community Association sponsored the free sleigh ride. West Wellington Business Improvement Area sponsored free entertainment and prizes. Bridgehead supplied free coffee and hot chocolate. Chris and Sharon Kelly gave horse-drawn sleigh rides all afternoon. Derek McKinley (Sing Song Partytime) provided musical entertainment for families. Neighbours donated chilis and baked goods for the lunch counter. Great turnout of skaters on Champlain Park rink, and skiers on SJAM trail! Free admission, sleigh rides, entertainment, hot drinks! When? Saturday, January 26, 2019, Noon to 3 p.m.
Where? Champlain Park field house, park, rink. Free Balloon animals with creator Jason Keats! Chili Cook–off Contest with great prizes! Lunch counter: Hot dogs, chili, baked goods for sale. Following up on the previous call to shovels, https://champlainpark.org/2019/01/23/snow-shovelling-critical-time-for-the-rink/ here’s a message from Jim Kot (sorry for the delay, was busy shovelling the driveway and roof before things freeze up). Please pass on a big thank you to all who helped shovel, mother nature has kindly watered so the ice should be ready for the winter carnival. Field house: Set up / Clean up, Ticket sales, contribute a slow cooker and be in the chili contest, provide baked goods, help in the kitchen and lunch counter. Contact Event Organizer, Erin Topping, to help at erintopping@hotmail.com. 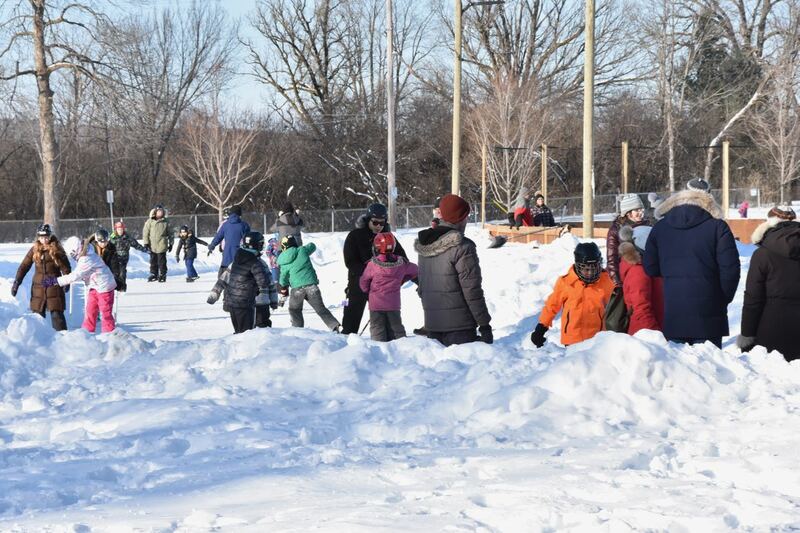 Outdoor rink and park: Organize outdoor games and fun on rink, assist seniors and children with boarding sleigh, help rink supervisor with shovelling. Spread the word! Bring friends and family to Champlain Park ! Snow, rain or shine this event will take place on the last Saturday in January. The carnival is coming soon, Saturday January 26th to be precise, noon to 3pm at the Field House. More details about that later, but first, we need chili and baked goods!